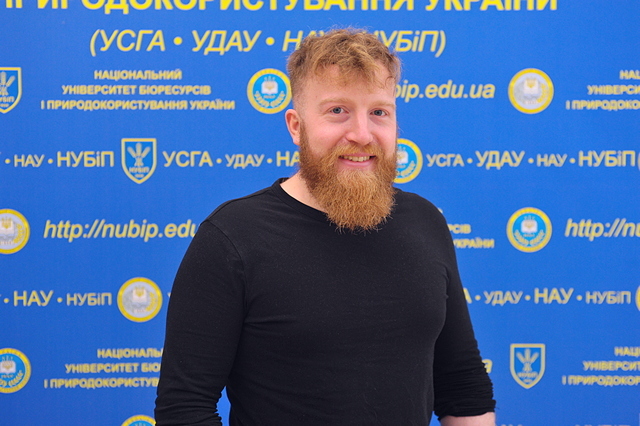 David Moore from the UK has been studying at the preparatory department of NUBIP of Ukraine for several months. We asked him to share his impressions of Ukraine, Ukrainians and the University in particular. Why have you chosen Ukraine? – Well, for several reasons. For one, the ratio between the tuition fee and quality of education. I have always dreamed of studying medicine. 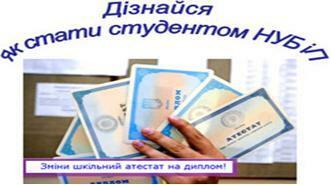 However, in my home country, the year of study in this specialty costs about 70 thousand pounds. It is too expensive for me. So I began to look for an alternative. NUBIP of Ukraine is one of the leading universities. And here I am - studying Ukrainian at the preparatory department of NUBiP. You aren’t disappointed, are you? – Not in any way. I have a fantastic teacher of Ukrainian. I really like the campus and the nature that reminds of the UK. Kiev turned out to be a very pleasant city. I am interested in history, so I immediately visited places connected with the Revolution of Dignity - Maidan Nezalezhnosti and the Alley of Heavenly Hundred Heroes. Another bright impression is the churches and cathedrals of the capital of Ukraine. Most of all, I liked St. Michael's Cathedral. What were the New Year holidays in the new country like? – I missed my family a little bit, but I was invited to visit a friend, who lives in Yampil. Ukrainians are surprisingly hospitable, like Irishmen, actually. Even more affable. I spent all the holidays there. It was delightful to visit Sumy and Yampil. They don’t have such a rapid pace of life as Kyiv. Would you recommend NUBiP of Ukraine to your friends? – Sure! In fact, I already have. Based on my recommendation, my friend Tom decided to study information technology here.